The International Monetary Fund (IMF) plans to sell 403.3 metric tons of the Fund’s gold holdings to create an endowment with the profits, it was announced Tuesday. The proposed sale is part of a broadening of the Fund’s investment authority, overwhelmingly approved by its Board of Governors, May 5, a key element of the proposed new income model for the Fund that will allow the institution to generate revenues from a variety of sources. “If approved, gold sales would be conducted in a transparent manner with strong safeguards to ensure they do not add to official sales and avoid any risk of market disruption,” and IMF release said, noting that U.S. Congressional approval is needed before the U.S. Executive Director can vote in favor of gold sales. Governors from 176 of the Fund’s 185 member countries cast their votes, all in favor of the resolution. Approval of the resolution required a majority of the votes cast. According to the release, the Board of Governors’ approval of a broader investment mandate will enable the Fund to increase the average expected return and adapt its investment strategy over time. The investment policies will reflect the public nature of the funds to be invested and include safeguards to ensure that the broadened investment authority does not lead to actual or perceived conflicts of interest. The Resolution proposes an amendment of the Fund’s Articles of Agreement, which will need to be accepted by at least three-fifths of IMF members representing 85 percent of the total voting power in order to become effective. from the gold sales will be invested as part of the Fund’s broadened investment strategy, with the objective of generating income while preserving the long-term real value of these resources. The new income model, recommended by the IMF Executive Board on April 7, will be based on more robust and diverse sources of revenue in line with the Fund’s multiple functions. It will replace the current model that primarily relies on income earned on Fund lending. On April 7, the IMF Executive Board also approved a new budgetary framework, which reduces net spending by 13.5 percent in real terms over the next three years. The new income and expenditure framework is expected to cover the US$400 million shortfall projected in the medium term. Another key element of the new income model will be the resumption of a long-standing practice of reimbursing the Fund’s budget for the cost of administering the trust fund for concessional lending to low-income countries—the PRGF-ESF Trust—beginning in the financial year in which the Fund adopts a decision authorizing the gold sales. This cost recovery will not affect the Fund’s ability to provide concessional lending to low-income countries. The IMF holds 103.4 million ounces (3,217 metric tons) of gold at designated depositories. 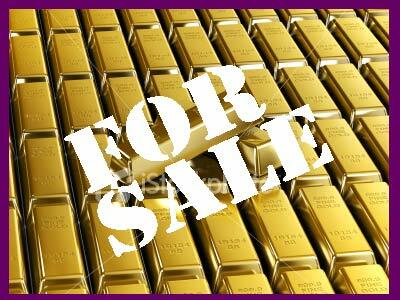 The IMF’s total gold holdings are valued on its balance sheet at about US$9.2 billion on the basis of historical cost. As of April 30, 2008, the IMF’s holdings amounted to US$90.1 billion (at then current market prices).